Congratulations, you’re a dad! It’s a big job with lots of rewards. Your top priorities are to make sure mom and baby stay happy and healthy. As you and your partner adjust to your new roles as parents, talk together often and listen for ways you can help. It’s best for baby and mom, and the benefits last for life. Mom and baby feel calmer and happier. Baby is healthier and gets sick less often. Mom’s milk has hundreds more ingredients than formula that protect baby from illness. 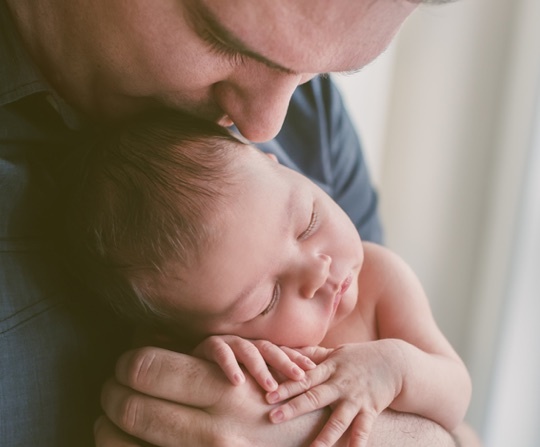 Baby has a lower risk for infections and stomach problems, Sudden Infant Death Syndrome (SIDS), diabetes, obesity, heart disease, and childhood leukemia. Children have higher IQs and do better in school. Mom recovers from delivery faster and can burn up to 600 extra calories a day. Breastfeeding saves money. Formula can cost more than $1,500 a year! Mom is less likely to get breast cancer, ovarian cancer, diabetes, and heart disease (the leading cause of death for women). The longer mom breastfeeds, the better for mom and baby. The American Academy of Pediatrics recommends breastfeeding your baby for 1 year or longer, and feeding him only breastmilk for the first 6 months. Celebrate when you meet these goals. Breastfeeding takes teamwork. Here’s how dad can help. Encourage mom to make a breastfeeding plan and set goals. Let her know that you’ll be there to help along the way. Plan for the delivery together. That means helping choose a doctor and hospital that support breastfeeding, going to doctor’s appointments, and going to prenatal classes. Start learning about normal baby behavior so you’ll be prepared when baby comes. Support skin-to-skin time for mom and baby during the Sacred Hour, the first hour after delivery. Even babies who are delivered by cesarean can do skin-to-skin in the first hour. 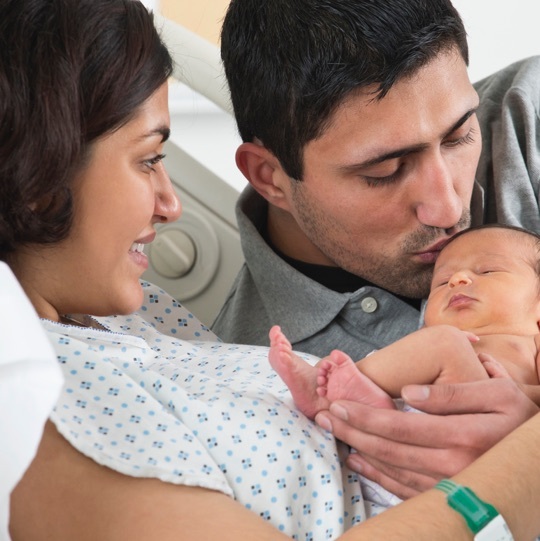 Request rooming-in at the hospital so that you and mom have more time to get to know your baby and settle into a healthy routine. Get plenty of skin-to-skin time where you cuddle the baby on your bare chest. This is great bonding time with lots of benefits for both of you. Be on standby to get help for mom and baby as they get the hang of breastfeeding. That means asking a nurse or lactation consultant for help. Listen carefully so you can help mom remember the information later. Make sure mom and baby have private time to breastfeed and sleep. 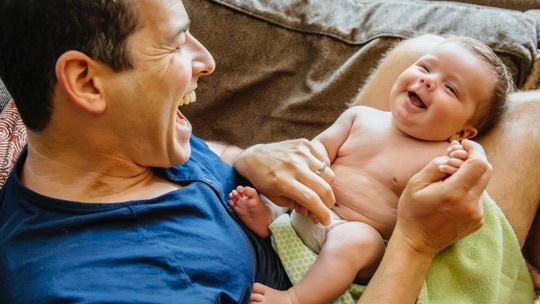 You may have to ask visitors to come another time, but that’s OK—you’re a dad now! Newborns eat at least 8 to 12 times a day and sleep only a few hours at a time. Learn what to expect from your baby and how you can adjust your schedule during the early months. 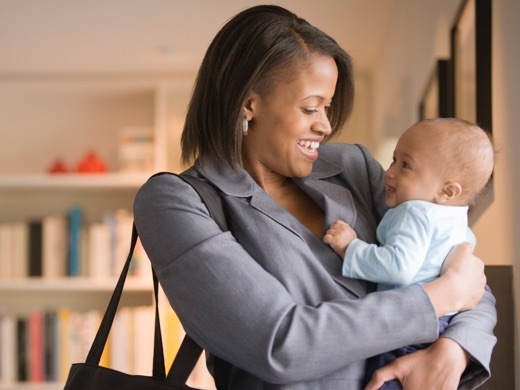 Learn to spot early hunger cues and bring the baby to mom when you see them. It’s much easier for babies to latch on and feed before they get too hungry. This will also help her body to make all the milk your baby needs. Let mom know you’re proud of her. Breastfeeding can be hard. If she has problems, help her find some help, and remind her that it’s worth it! Small acts make you a big hero. Bring her a pillow so she’s comfortable during feedings. Make sure she has a glass of water and a healthy snack nearby. You can hold the baby after a feeding until she falls sound asleep, change diapers, learn how to calm the baby when she cries, take care of meals and household chores, and give mom a break so she can shower or nap. She will be grateful, and you’ll get more time with the baby! If you can’t be there for mom, turn to family and friends who have offered to help. Babies who are exposed to smoke face a lot of short-term and long-term health problems. Don’t let anyone smoke near your baby, and don’t take the baby anywhere smoking is allowed. Your partner needs your support so she can keep breastfeeding even if she plans to return to school or work. Encourage her to pump and store her breastmilk once she’s gotten the hang of breastfeeding and her supply is set. She should start pumping at least two weeks before going back to work. At first she may not get a lot of milk, but pumping once a day will help build a supply of milk in your freezer to use while she is away. When she and baby are together, regular breastfeeding will keep her milk supply up and keep mom comfortable, too. Visit the Returning to Work or Pump and Store pages for more information. Breastfeeding in public is protected by law. Texas law says a mother is allowed to nurse her baby anywhere she is allowed to be. Mom will feel more comfortable if you are OK with her breastfeeding in public. There are plenty of ways she can nurse with privacy even when other people are around. What If mom seems depressed? Many women experience depression and anxiety during and after pregnancy. It is not a sign of weakness or being a bad mother. It is a medical condition that can cause her to stop breastfeeding, and it can have long-term health effects. Here is some useful information from the National Institutes of Health on how to identify the signs of depression and what you can do to help. Frequent sadness, irritability, or anger. Foggy thinking or difficulty completing tasks. “Robotic” actions, like she’s going through the motions. Saying that she’s a failure as a mother. Lack of interest in activities she usually enjoys. Ask how she is feeling emotionally, not just physically. Be kind and understanding about her concerns. Let her know that perinatal depression is a common medical condition and can be treated. It is not a sign that she is weak or a bad mother. Encourage her and help her to seek help quickly. Watch the baby to give mom time to herself. Arrange to take care of meals, household chores, and shopping so she can get some rest. Give her time away from home to do activities with friends. Encourage her to contact her health-care provider or the Substance Abuse and Mental Health Services Administration Treatment Locator at 1-800-662-HELP (4357) to find a health-care provider in her area. She can also contact the National Suicide Prevention Lifeline at 1-800-273-TALK (8255) for free and confidential emotional support—they talk about more than just suicide. Call 9-1-1 if she is feeling like she may hurt herself or her baby or if she is having unusual or extreme mood swings or thoughts. 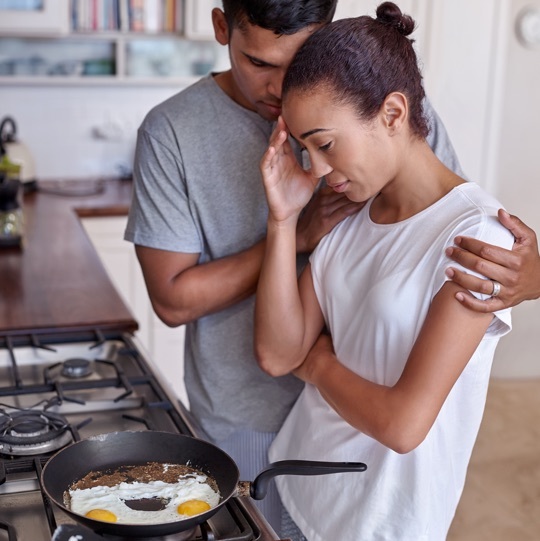 Download the flyer, “Talk About Depression and Anxiety During Pregnancy and After Birth: Ways You Can Help” (166KB) from NICHD for tips on how to talk about this and more resources on where to go for help. Get more helpful resources on mental and emotional health support. Every new parent has questions about what's normal when it comes to your baby.